Daryl Hannah and Neil Young attend the "Paradox" Premiere 2018 SXSW Conference and Festivals at Paramount Theatre on March 15, 2018, in Austin, Texas. 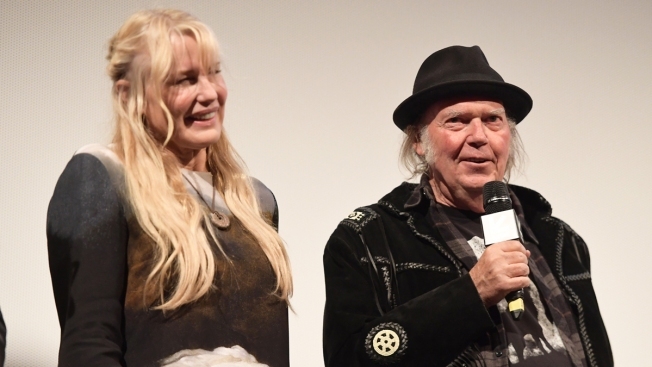 Hey hey, my my, Neil Young is calling Daryl Hannah his wife. It's the third marriage for Young and the first for Hannah, who had previous relationships with Jackson Browne and John F. Kennedy Jr.
She wrote and directed the Netflix movie "Paradox," starring Young, earlier this year. Young's hits include "Hey Hey, My My" and "Heart of Gold."